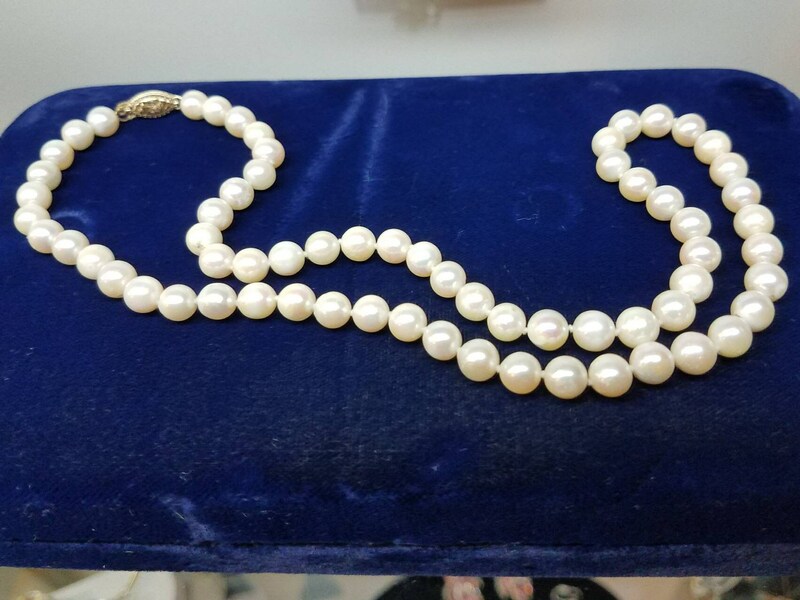 This vintage necklace is all natural pearls, with a 14K yellow gold clasp. 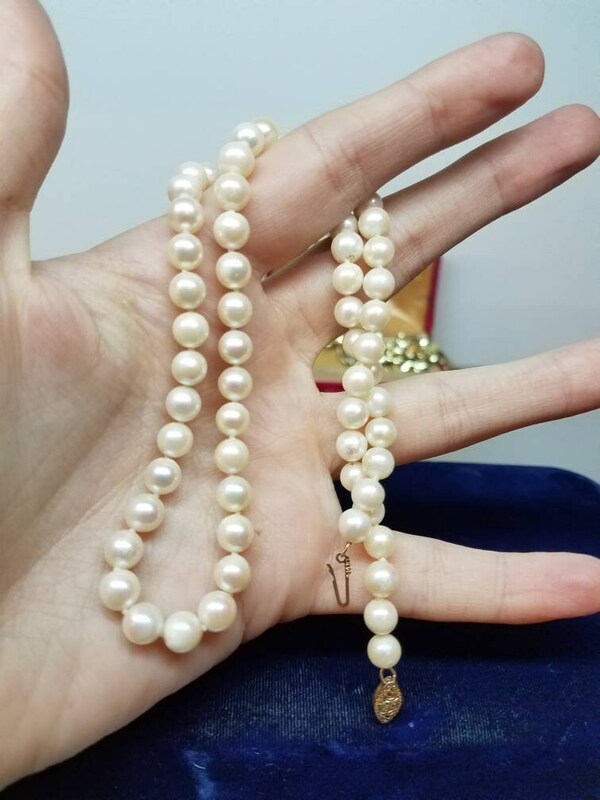 The pearls show a lovely sheen and are in excellent condition. 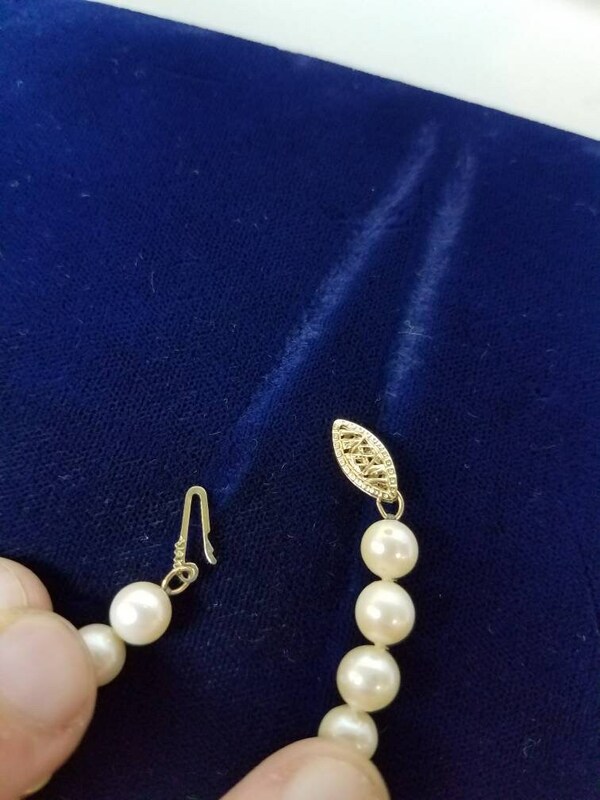 The necklace measures 18".